Despite rough times and unfavorable recent quarterly results, Procter & Gamble remains an attractive dividend yielding stock. On Wednesday, June 20, 5:21AM, Procter & Gamble cut its FQ4 guidance, citing slower growth in developed markets and fluctuations in exchange rates. The company forecasts an adjusted EPS of $0.75 - $0.79, down from the previously expected EPS of $0.79 - $0.85. P&G expects net sales to fall 1%-2% and predicts for FY2013 a flat to mid single digit increase in profits. Nonetheless, to offset reduced consumer spending on goods, the company has rid itself of non-core operations, dedicated itself to value based offerings, spent money on marketing to ensure customer loyalty, and targeted foreign markets for expansion. Back in February, P&G’s management announced a $10 billion cost saving plan in hopes of helping the company return to an 8% - 10% EPS growth, and at the same time free up funds for reinvestment. Markets, companies, and consumers alike are going through rough times, but to many, Procter & Gamble remains a safe bet in their portfolios. P&G’s strength lies in its broad array of products and its vast distribution networks. Due to rising commodity costs, the company will continue to face margin pressure, but the brands P&G holds has become household names that consumers can’t do without. Consumers will continue to walk into supermarkets and pick up Bounty paper towels, Head & Shoulders shampoo, and Tide detergents. The company has paid dividends over 100 years and has a record of 55 years of dividend increases. Despite rough economic conditions, the company continues to pay a dividend with a current yield of about 3.7%. The last dividend posted April 25, 2012. Fundamentally speaking, P&G is sound. Even with unfavorable quarterly results, for the period ending 3/31/2012, the company still managed a net income of $2.4 billion. Looking at investment returns, the numbers aren't the least bit bad either, with a ROE of 14.25, a ROA of 7.1, and a ROIC of 8.9. Regarding the company’s financial and debt position, it’s in a relatively healthy position. According to MSN Money, P&G’s leverage ratio is 2.1, debt to equity ratio is .51, interest coverage is 16.9, and dividend payout ratio is 62%. Regarding its corporate debt ratings, S&P gives it an AA- and Moody’s gives it an Aa3, ratings well into investment grade ranges. Although at its current price, with a P/E of 18.7, P&G cannot be considered a value stock; charts and prices do indicate that since April the stock has been in decline, which may suggest that it is oversold. Over the past two months the stock has dropped 10% and if the stock really does equate to long-term value, now is indeed the time to buy. Being a well-known large cap stock, P&G receives extensive analyst coverage. According to Thomson-Reuters there are twenty analysts covering the stock, with five rating it a strong buy, five a buy, nine a hold, and one an under perform. Overall ratings seem to lean more towards the positive. Based on where the stock is currently priced, at around $60 - $61, there shouldn’t be much downward pressure. The $60 price level has held quite well for Procter & Gamble over the past few years, and anytime the stock dipped below that, a rally followed; hence many believe that an upward move is in store for P&G. Are you a believer? View other high yield Dow dividends stocks. 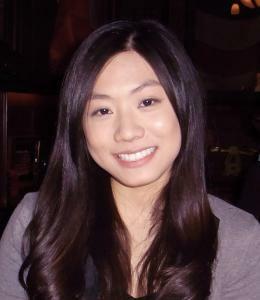 Teresa Huang: Teresa Huang graduated from Tufts University with a B.S. in Economics & Psychology. Through her classes at Tufts and prior summer internships at various financial firms, including UBS, she developed an interest in finance. Combined with her passion for writing, Teresa believes that financial journalism will allow her to convey her passion and interest in finance with others.